I am not even close to “AboutMyBeaches”. Meeting my cousins in New York for a few day will be a treat. 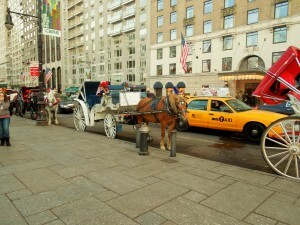 I got into the City first; they are traveling from Spain. So, I decided to go for a walk. 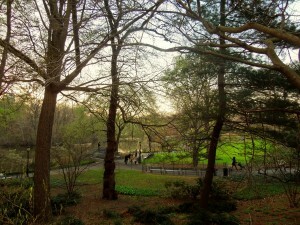 I am just 2 blocks from Central Park. I came to a stop when I saw Ernest Klein & Co., which is an international supermarket. I had been there before. 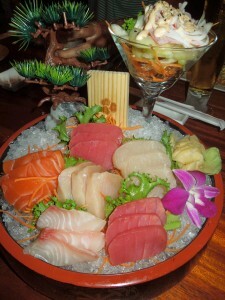 Ready made food, fresh vegetables, soups, sushi and everything you can imagine. 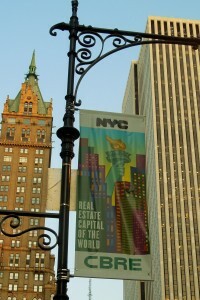 It is located at 1366 6th Ave. 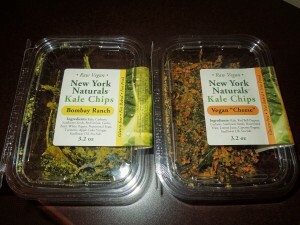 I came across the Raw Vegan, New York Naturals, Kale Chips. The Bombay Ranch and the Vegan “Cheese” were delicious. They are handmade in Brooklyn. Gluten Free, Not baked, Not fried. They are made with the whole kale leaf. Sometimes the stems on the bigger leaves are hard to chew. Most people prefer to eat just the leaf part and discard the stem. I ate the whole thing. You won’t believe how good they are. A little salty and so crispy. 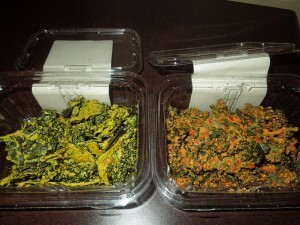 The Kale Factory is located at 925 Bergen St. #102, Brooklyn, NY 11238. The Delaware Beaches are a year-round destination. No, no we don’t roll up the streets during the winter. These coastal towns are busy, offering its visitors great dining, shopping and relaxation. This week-end….I hope you have Rehoboth Beach on your sight…it is, definite, a destination…Be prepared to stroll the downtown streets, enjoy no meters…in other words park and stay awhile. 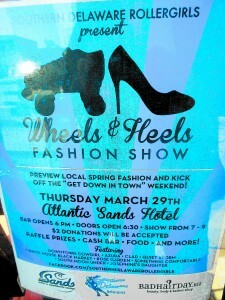 Thursday, 3/29 – Southern Delaware RollerGirls – Wheels & Heels Fashion Show, at the Atlantic Sands Hotel, located at 1 Baltimore Avenue, at 6 p.m. Bar Opens, 6:30 p.m. Doors Open, and from 7 p.m. until 9 p.n. the Show’s On!! $2 donation, accepted, thanks. Yes, I was wondering also…what is it? A start-up women’s roller derby league established here in Sussex County, Delaware. All female flat track roller derby league that began in April, 2011. They hold practices at the Milford Skating Center, located at 1 Park Ave., Milford, DE, Monday 8:30 to 10:30 p.m., Thursday from 6:00 p.m. to 8:00 p.m. and Saturday from 10:00 a.m. until 2:00 p.m.
Fees are $45/month or $10 per practice., plus skate rental if you are renting skates. You can also e-mail questions to sodelrollergirls@gmail.com. Want to join? Check out a practice and remember that you have to be 18 years of age to join. Visit http://www.facebook.com/SouthernDelawareRollergirls/info. 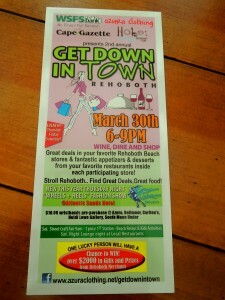 Friday, 3/30 – The 2nd Annual Get Down in Town from 6:00 p.m. until 9:00 p.m. Wine, Dine and Shop in Downtown Rehoboth Beach where you will find great deals, along with appetizers and desserts from your favorite restaurants inside each participating store. You can buy wristbands for $10 ahead of time at Azura, Bellmoor, Carlton’s, Heidi Lowe Gallery, and South Moon Under, all located in Downtown Rehoboth Beach. Just One Lucky Person will have a chance to win over $2,000 in gifts and prizes from Rehoboth Merchants. More info? On Facebook you can check www.azuraclothing.net/getdownintown. Saturday, 3/31 – Street Craft Fair starting at 9 a.m. until 1 p.m. at 1st Station. Beach relays and kids activities. 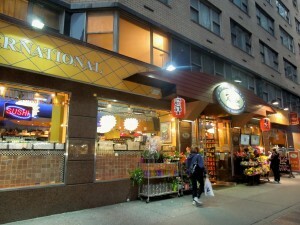 In the evening you will find Saturday Night Lounge Night at Local Restaurants. Hotel Discounts for this week-end will be available at Atlantic Sands, Boardwalk Plaza, The Bellmoor, Crosswinds, and Avenue Inn. Eating Gluten Free in Delray Beach, Florida, Village by The Sea, South Florida, Palm Beach County, Gluten Free Pizza?, You got it!! 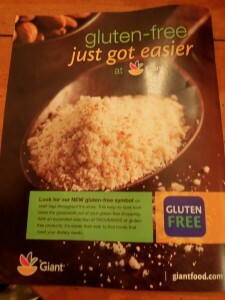 For the past 3 years we have been eating gluten free in my household. It is something we had to get used to. When you have to, then you do it. Pretty soon you become an expert; reading labels, being protective and proactive; outspoken, and informed. I embraced new flours made out of chickpeas, rice, coconut; did not know they even existed. Since 1 in 133 people are afflicated with Celiac Disease; we better get used to the idea of eating gluten free. It is the only way to get healthy again; a commitment to eating gluten free forever. Celiac disease is a genetic, autoimmune disease. A percentage of diabetics also contract it. Besides the Celiac disease, there are people with intolerances to gluten, but do not have the full blown disease. Not only do you have to avoid foods like breads, pasta, crackers, cookies and beer; but also soy sauce, soaps, shampoos, food colorings, that may contain gluten. Reading labels and contacting the manufacturing companies will be your best bet. I do it all the time. And, they are very helpful. Another thing you have to check out is medications, generics, and over the counter. Some companies will tell you that their plant is gluten free and that their products are, as well. Others will tell you that they cannot guarantee it because some of the compounds come from foreign countries. It takes some time to find the right companies, but they are there. I was just at my local supermarket, Giant. On top of the gluten allergy. 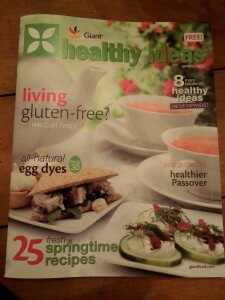 I took pictures of the give-away magazine; “gluten free” right on the front cover, and back. Restaurants have been a challenge in Delray Beach and South Florida, in general, but they are getting better all the time. Only a few here or there have menus, but they seem to be happy to accommodate you. The Chefs have not been overzealous and are willing to adjust the recipes. When you go to a restaurant, make sure they know you have a food allergy. You do not want your food contaminated and please don’t bring me a piece of bread on my plate. 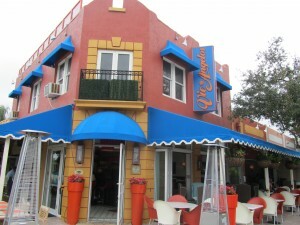 If you are in Delray Beach, you can call the restaurants. The following ones will work with you. 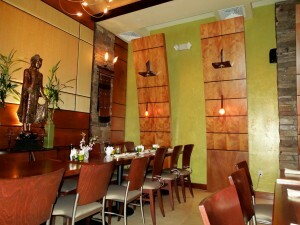 Ziree Thai & Sushi located at 401 West Atlantic Ave., 561-276-6549, http://www.zireethai.com. This restaurant has Tamari gluten free soy sauce. We kept asking them to have it and slowly other customers did ask and voila!! 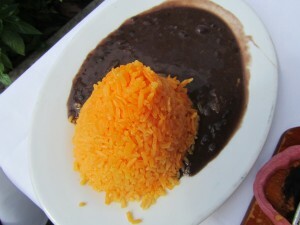 Cabana El Rey at 105 East Atlantic Ave., 561-274-9090, www.cabanarestaurant.com. 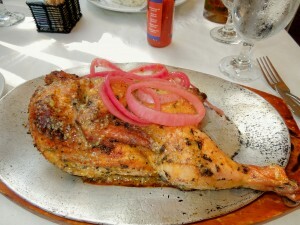 The picadillo, the roasted chicken, churrasco, rice, beans, do not contain gluten. 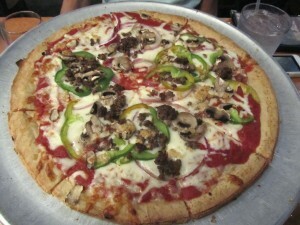 Vic & angelo’s, 290 East Atlantic Ave., www.vicandangelos.com. The chefs at this restaurant are willing to work with you. Make sure you mention the gluten allergy. They will substitute. Mellow Mushroom, 25 S.E. 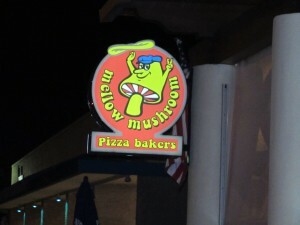 6th Avenue, www.mellowmushroom.com/delraybeach. They have gluten free pizza. Even though I think the gluten free pizza will never be as good as the “real” pizza, if you have not had it in a long time, it will start tasting pretty good. 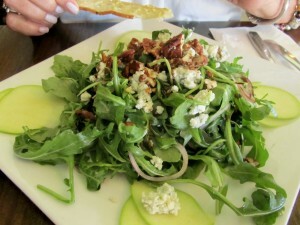 Brule Bistro, 200 NE 2nd Ave., 561-274-2046, www.brulebistro.com. Salads, soups and other entrees are easily adjusted. Again, make sure you mention the gluten allergy. 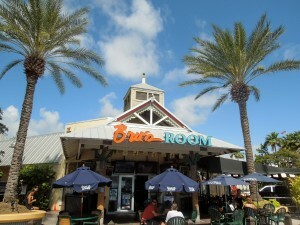 Bru’s Room, www.brusroom.com. 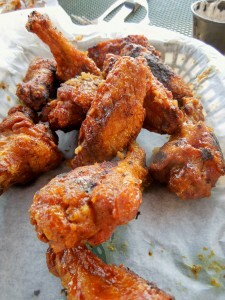 They have the best grilled wings. Ask for the Triple Threat (not hot, just with a nice kick and garlic), or the Sweet and Tangy, my favorites. They are gluten free and Bru’s Room does have a gluten free menu. 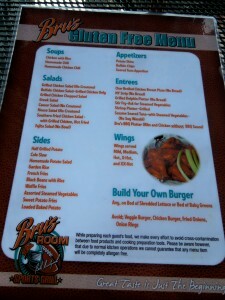 Just recently someone wrote to my website regarding Bru’s Room and my mentioning it to be gluten free. They got a piece of bread on their plate and the server said the menu was new. I had written originally, in 2010. I guess it is a good as time as any, to mention a disclaimer from AboutMyBeaches. This blog is my diary; I guess you could say I am an open book. These are my experiences and my pictures. I enjoy food and the company of friends and family. Then, I pass it on to you. Again, you have to take control in the restaurant, afterall, you are the customer. If you do not think you are being served and attended they way you deserve, then you do know what you need to do…. The Sundy House is located at 106 S. Swinton Ave., 561-272-5678. www.sundyhouse.com. They have a new gluten free menu. I have not tried it. 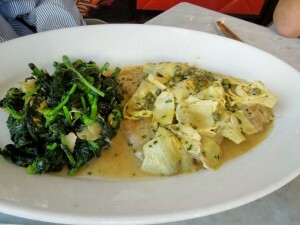 Carrabba’s Italian Grill, 335 East Linton Blvd., 561-266-9393, www.carrabbas.com. They do have a gluten free menu. A tip: If you see so many people waiting to get in, just go into the bar and you can grab any of those tables without a reservation, as they become available. Outback Steakhouse, 1300 Linton Blvd., 561-272-7201. They do have a gluten free menu. 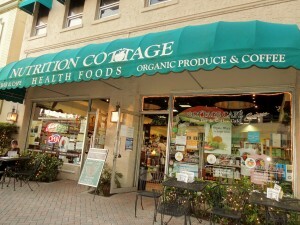 Note: On Atlantic Avenue, in downtown Delray there is Nutrition Cottage at 407 E. Atlantic Ave., http://www.nutritioncottage.com. 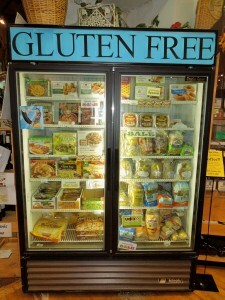 They have a wide selection of gluten free products, including a freezer with frozen breads, desserts and other goodies. On January 7th I wrote about them on this blog. All you have to do is click on the month of January, 2012 and scroll down to the 7th. Regarding grocery stores…..some better than others; Publix, Winn Dixie, Whole Foods, not in that order, though. You can check the website of Celiac Disease Foundation of South Florida, http://www.cdfsouthflorida.org. If you do happen to get that glazed look from your server as you mention the “gluten allergy”, ask to speak with the Manager. Good luck and have a great day!! 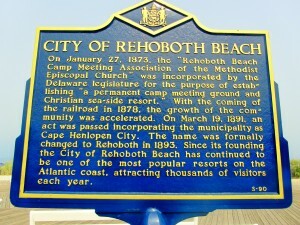 The Rehoboth Beach Museum is the home of the Rehoboth Beach Historical Society. 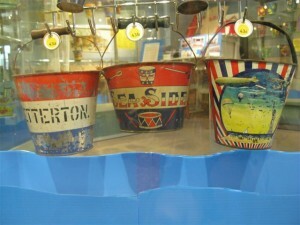 The Society’s mission is to preserve and showcase artifacts that illustrate the history of our beautiful City by the Sea. 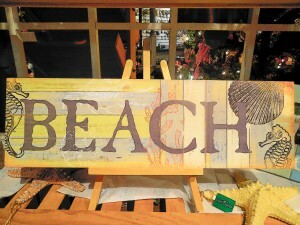 The museum should be part of your visit to Rehoboth Beach. To know how far this seaside town has come, you need to see how it all started. The Museum is located at 511 Rehoboth Ave. Parking is available. At the moment, the museum hours are: Monday, Thursday, and Friday 10 a.m. until 4 p.m. Saturdays and Sundays from 11 a.m. until 3 p.m. Regular admission is $5 for adults, $3 for seniors, college students and military, $2 for children ages 13 to 17. Members and children 12 and under are free. There is a AAA discount, as well. For more info. visit the website www.rehobothbeachmuseum.org, or call 302-227-7310. Sunday, April 15th – Young ladies in the area, ages 8-12 are invited to a tea party for girls and their dolls at 2:30 p.m. at the Rehoboth Beach Museum. Iced tea, lemonade, and sweet treats will be served. Girls will play and learn old-fashioned games such as hop scotch, cat’s cradle and hula hoop. 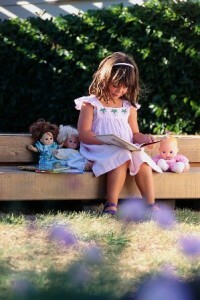 Each girl will be invited to tell a special story about her doll. Girls are encouraged to dress up. The cost of the tea party is $10. The event is limited to 15 girls with one doll each. Please call 302-227-7310 to make a reservation. 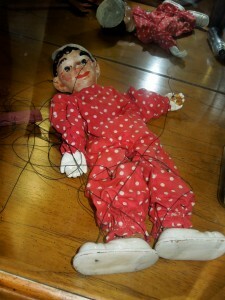 When I was a young girl, dolls were so special to me. 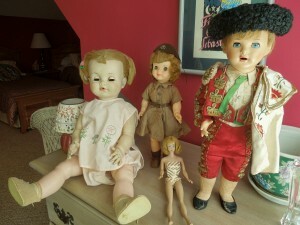 Here are a few of my own dolls. 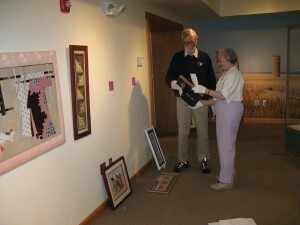 On Saturday, March 24th – this second annual exhibit opened at the Rehoboth Beach Museum. About 100 items are on display from regional needle artists from Newark, Delaware to Baltimore, Maryland. Techniques include intricate beadwork, colorful canvaswork, heirloom sewing, including quilting, and beautiful cross stitch samplers. Visitors will be treated to Christmas stockings, table runners, wall hangins and intricately stitched needle cases and miniature pictures. The Museum will host several events while the exhibit is on display, including an afternoon of needlework technique demonstrations, a lecture on Barn Quilts, and a presentation about 18th Century wedding dresses. Please check www.rehobothbeachmuseum.org or call 302-227-7310, for more information. 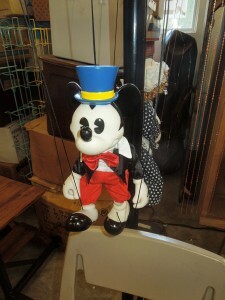 Puppetry is a form of theatre, which manipulates puppets. It also involves storytelling. It is an ancient art form; about 30,000 years old. 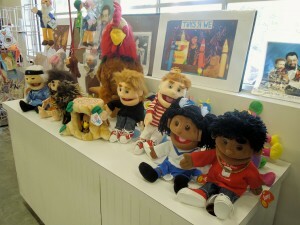 Puppets have been used to animate and communicate ideas and the needs of human societies. With that in mind, I stopped to see the new home of the Puppetry Arts Center Museum and Theatre, located at 94 NE 2nd Ave., Delray Beach, FL. This area is also called Pineapple Grove. I met the Director, Mrs. Janeen (Jan) Timmis. 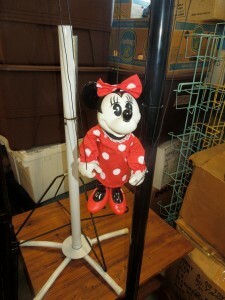 She told me that they had been in the county since 1993, but, just recently, opened in Delray. You will find them there from about Noon on; Mondays through Saturdays. 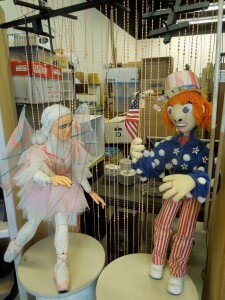 Shows are posted on their website, http://www.puppetcenter.org. You may also call them at 561-243-4330. 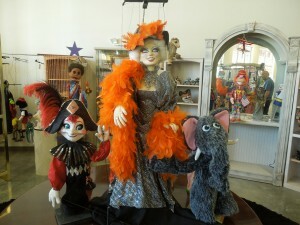 On Facebook as Puppetry Center of the Palm Beaches and on Twitter as Sunshine Puppet. Shows held during the day are $6.50, unless otherwise noted. In the evenings they are $10.00. If you have a group of 20 or more, please give them a call since they will give you a break. Please note that they only accept cash. 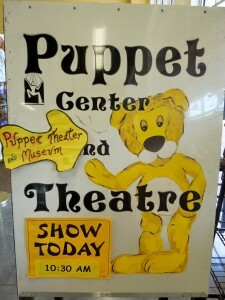 Next Puppet Show will be, Saturday, march 31st at 2:00 p.m.
On Mondays, at 1:00 p.m. you can learn puppet performance and manipulation with both, marionettes and hand puppets. Please give them a call at 561-243-4330 if you are interested in attending. It is free. Even though a lot of the shows are tailored for children, there is also Magic and Comedy for adults 18 and over. You just have to check the schedule or give them a call, as well. As I stepped inside the Center, on the left hand side, you will find a small Museum and Exhibit. 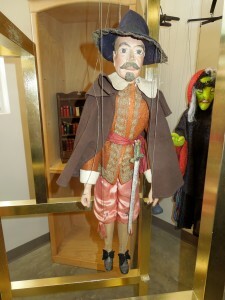 There were puppets representing many styles, sizes, and cultures. Favorite characters, as well. 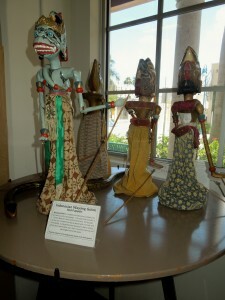 A group of Indonesian Wayang Golek Rod Puppets. These puppets’ bodies were carved from Acacia wood with intricate fine details. Hand painted and dressed in Batik clothes. 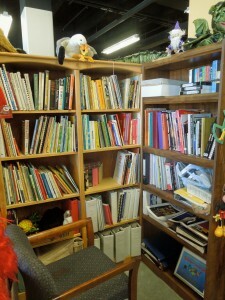 A Puppet Reference Library with a large number of puppet related books, videos, journals and photos for anyone to use while visiting the Center. 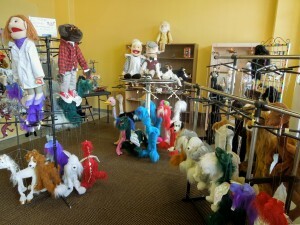 On the other side of the Center, a shop with puppets and marionettes available for sale. In the back is the Theatre. 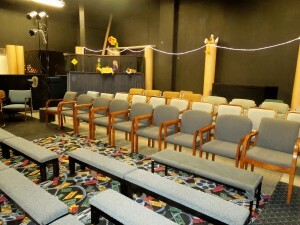 It can accommodate large groups or could be tailored for much smaller and intimate groups, as well. Wheelchair accessible. 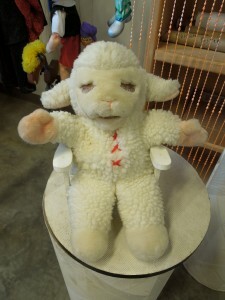 Jan and her husband were very friendly and would love to discuss puppets with you. They are like grandparents and I am sure children relate to them beautifully. So, if you are in Delray Beach, or towns nearby, check them out. 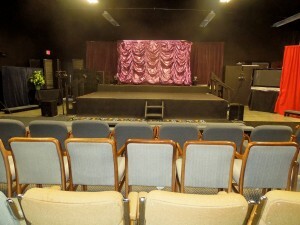 Concerts are held in a variety of venues, from private home and small nightclubs to large multipurpose buildings. On Saturday, March 24th, Southern Delaware proudly presents two concerts accessible to all residents and visitors that are spending some Spring vacation at our beaches. The Mid-Atlantic Symphony Orchestra performs for thousands of music lovers every year. It is comprised of the very best professional musicians, the MSO, under the passionate direction of Maestro Julien Benichou. Concert starts at 7:30 p.m.
Pre-concert talk starts at 6:30 p.m. at Mariner’s Bethel United Methodist Church, 81 Central Avenue, Ocean View, Delaware. 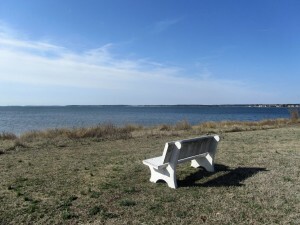 The town of Ocean View is a couple of miles west of Bethany Beach. For more information, visit www.midatlanticsymphony.org or call 888-846-8600. Coastal Concerts is presenting Spanish Brass at 8:00 p.m., at Bethel United Methodist Church Hall, located at Fourth & Market Sts., Lewes. At its 2008 Coastal Concerts performance, this acclaimed quintet wowed the audience with an astounding display of versatility and dynamism. Its program spanned the centuries and offered something for every taste. World renowned and praised for numerous notable recordings, the member of Spanish Brass are also involved in musical education wherever they travel. Don’t miss their lively return to Lewes!! Tickets are $25, youth ages 10 to 18 are free. For ticketing and further info., visit www.coastalconcerts.org. or call 888-212-6458. There is no reason for me to start this post explaining to you what Dogfish Head is or does. Doesn’t everyone know by now? Yes, I think so, especially those who love beer. 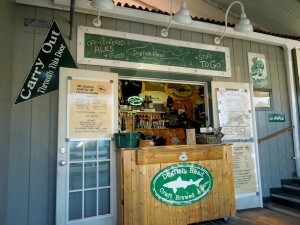 A success story in Delaware, Dogfish Head has a very complete and informative website. 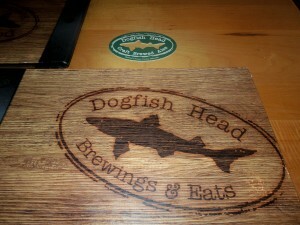 You can visit www.dogfish.com for an in depth look at this company. So, I am not going to repeat what already has been said. In downtown Rehoboth Beach you will find their Dogfish Head Brewing & Eats, a restaurant and distillery, located at 320 Rehoboth Avenue. Is their food good? Or, is it just bar grub? I wanted to find out and took one of my partners in crime, Jody, for lunch some weeks ago. Actually, she took me. It has taken me so long to sit down and write this post. I can’t imagine why. It can write itself. I even went a second time with my son for another lunch. Plenty of food to show you. When Jody and I arrived we did so right when they had just opened for lunch. Perfect timing for pictures. Tourists usually come to Dogfish Head, mostly because of the beer reputation. If they liked their food, I really don’t know. 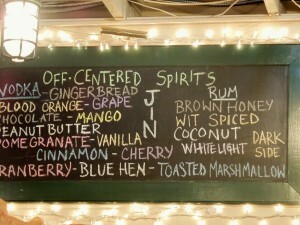 A large bar, tables, booths, and blackboards telling customers what’s on tap and announcing their spirits. You can see the stairs leading to the distillery. Delaware’s only distillery. Tours are offered on Tuesday, Wednesday, and Thursday at 4:30 p.m. 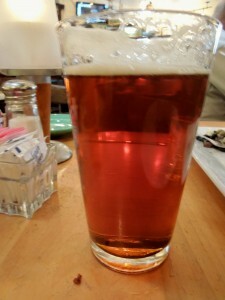 The word IPA means Indian Pale Ale. 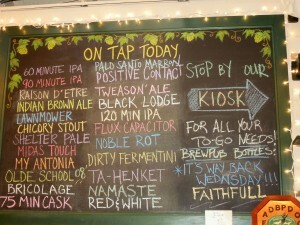 It is a beer that is usually included in the broader category of pale ale. It was first brewed in the 18th century in England…my trivia. Dogfish is perfect for lunch, but it really gets going during the evening. There is live entertainment and by the way Friday, 3/23 at 10 p.m. you will find Lower Case Blues taking center stage. Then on Saturday, 3/24 JP and the Gilberts will be entertaining the crowds. This what Jody and I had. 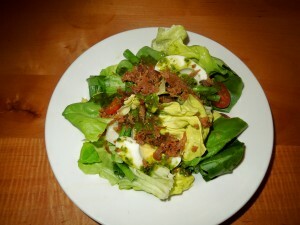 DFH Cobb Salad was a great starter for us with bib lettuce, cherry tomatoes, hard boiled egg, house made bacon, spring onion and basil vinaigrette. I loved the basil vinaigrette dressing. 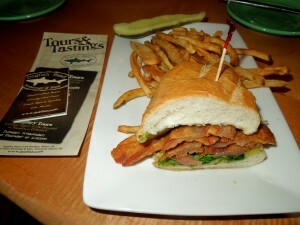 The Dogfish BLT with house made bacon, avocado, tomato, arugula, basil vinaigrette on a woodgrilled baguette. It was a large portion so we decided to just split it. Delicious. 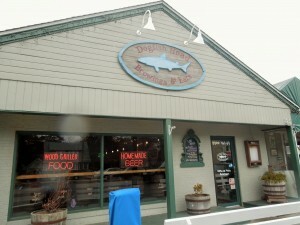 Jody and I enjoyed the lunch and as it usually happens at Dogfish, customers started filling up the restaurant. 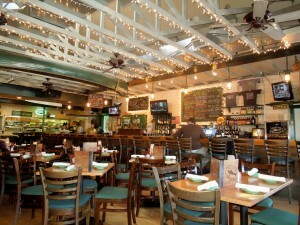 The casual atmosphere is part of we love at the beach and Dogfish fits in perfectly. My next visit was with my son who proceeded to order a pint of Aprihop, that Monday’s concoction. Teresa suggested it. Who? Yes, Teresa was our server; she knew the menu well, and very attentive to our needs. The first order was Fried Pickles. 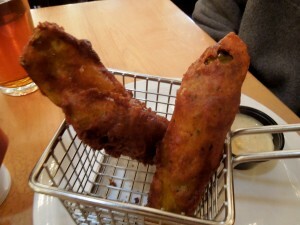 They were beer battered pickle spears and 60 Minute IPA truffle mustard. That mustard sauce was to die for. I wished the pickles would have been a little smaller, though. Then fish tacos for him; buttermilk fried dogfish, apple slaw, chipotle aioli, and cilantro stuffed inside 2 woodgrilled flour tortillas. Served with tasso spiced black beans over rice. 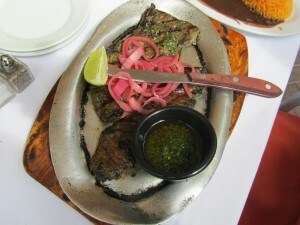 Tasso is a white sauce, usually used in the Baja style fish tacos. 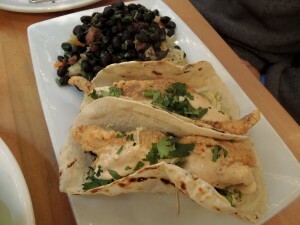 It seems that lately either I or a dining companion orders the fish tacos; these were good, but lately I have found a few others that I liked better. 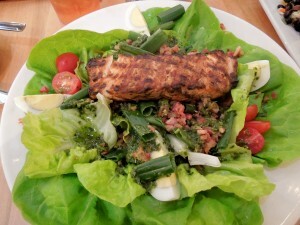 Just like I had before, that DFH Cobb Salad was again my choice….but wait a minute I topped it with the salmon. This salad was very good on its own but making it more a meal with the salmon was perfect. That basil vinaigrette dressing is a winner for this salad. I think that’s all we had. It was plenty. 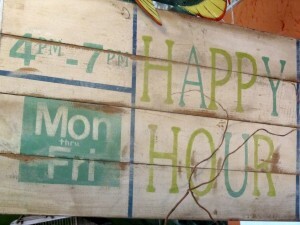 All menus are on the website, www.dogfish.com, but specials are offered daily. On the way out I decided to stop at their store. 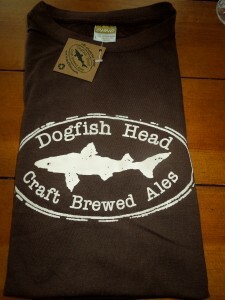 You can buy t-shirts, sweatshirts and lots of other merchandise of all things “Dogfish”. A t-shirt made out of bamboo for my younger brother, Miguel, whose birthday is on Friday. Have a great day!! Talk to you later…you know I will.